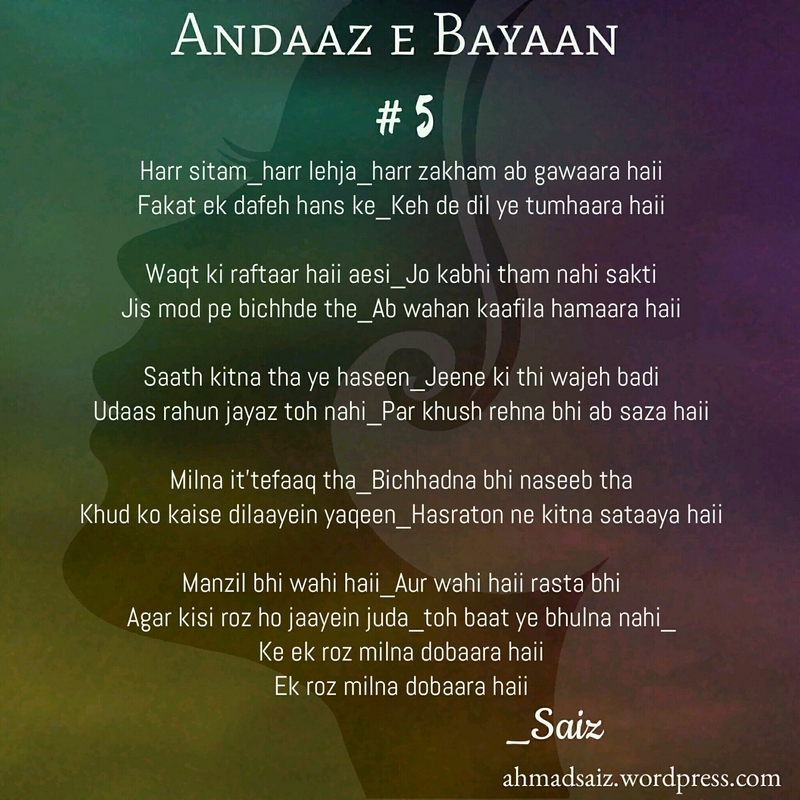 Andaaz e Bayaan #5. Harr sitam Harr lehja Harr zakham ab gawaara haii – I'm Here; Right Here. I don’t know if I did good with this one. I just focused on making it five. Five is good sometimes.